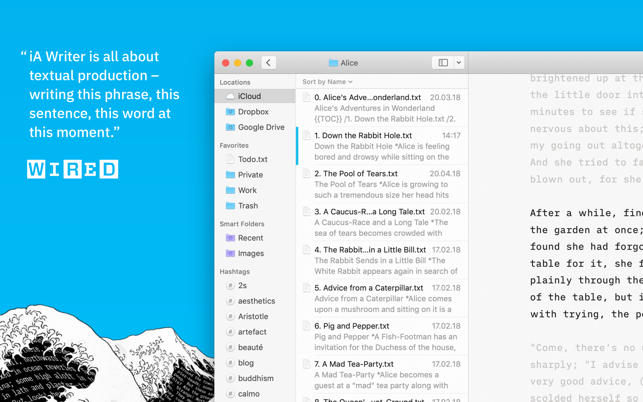 Search, sort, and quickly swap between documents from different clouds without leaving the window. 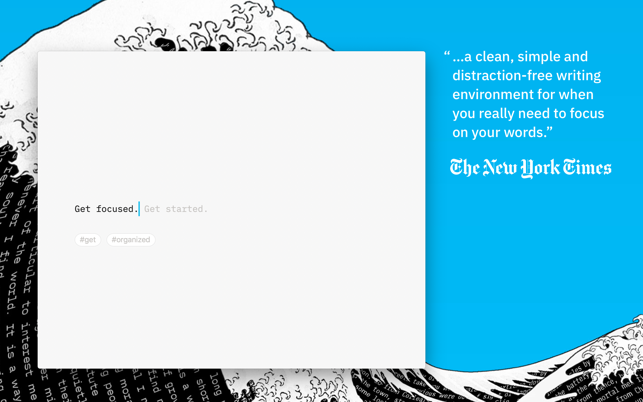 I write more frequently because of this app. 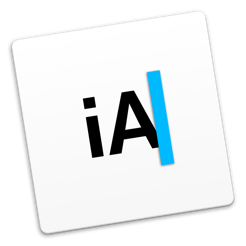 In short: I write more now that I have iA Writer on my machine, and I have never used a more elegant writing app. I’d give it 10 stars if I could. Feedback like this is why we do what we do. Learning that people enjoy writing more because of our app is why we get up every morning looking forward to improve our app even more. In essence "Every feature is built for writers… it’s made me a more productive writer" was the initial vision for iA Writer, in a nutshell. It's beautiful to hear what we intended to achieve those who use our app daily. Thank you. 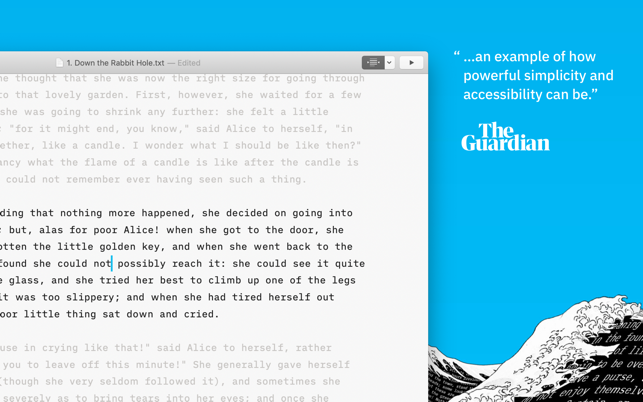 IA Writer is SO much better than Ulysses in terms of the writing/typing/composition interface. And the settings actually work and make sense. I tried and tried and tried to make Ulysses look half as good as IA writer on the screen, but despite being more expensive, that program is flawed. ★★ Here is a strong reccommendation for the IA Writer dev team however: when there is a conflict between documents (saved versions), it is pretty hard to decipher the differences between them using only the tiny images and timestamps provided. Of course the ideal would be a text comparison (which is easy given we’re dealing with plain text), or at least you should be able to scroll through the contents of each before committing, or having to save them all. I and more than a few users I know have lost valuable revisions because of this. Thank you for the kind words and the considerate feedback. You are absolutely right. A better comparison would indeed improve the app. We'd like that, too. It's on our list of things we'd like to do in the future. 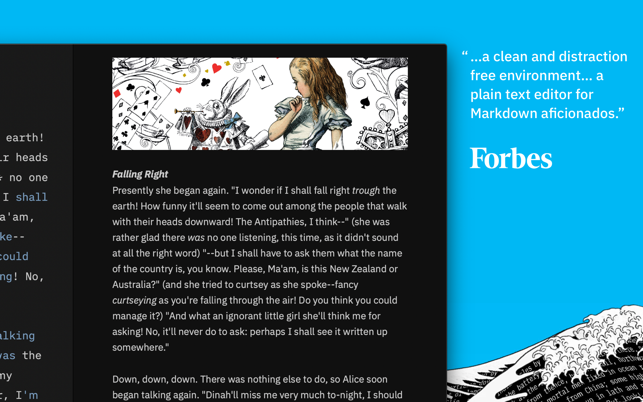 It's a good writing app! I've very much enjoyed using this application to write. I bought it ages ago when I had a few extra dollars in credit on the iTunes store, and it's served perfectly as a space where I could draft emails, journal my thoughts, and write responses to surveys before actually entering them into forms. It's also been incredibly useful when it comes to character and word count assignments, given it's handy and easily-viewable bar at the bottom that takes no extra effort to access. It is not the main way I write, but it has given me a place to write away from Word and Google Docs, and aesthetically, it feels very pressure-free. 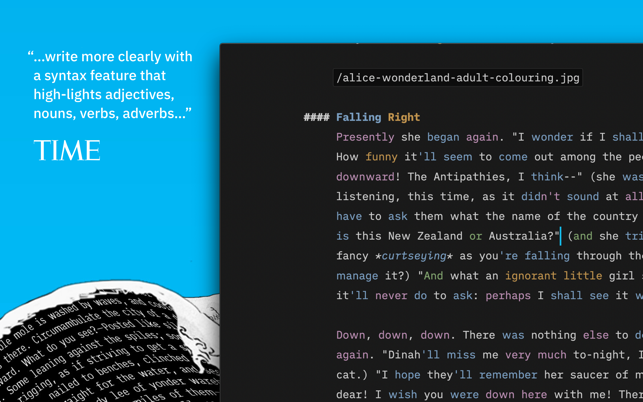 If you're looking for something to use that is outside the realm of popular writing apps and feels comfortable and simple to use, I'd recommend it. It definitley has more uses than I use it for, but its simplicity is there if you want it.